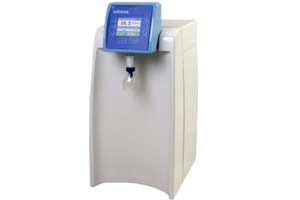 Adrona water purification systems provide ultrapure and pure water for laboratory needs. 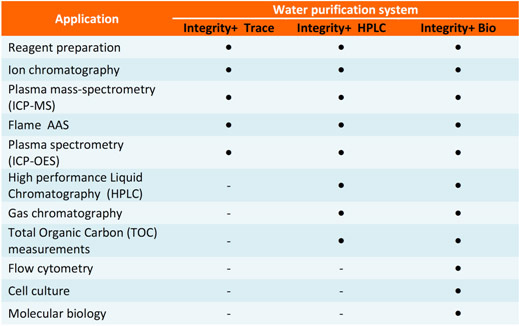 Quality of water meets requirements for Grade I water of ISO 3696 standard and corresponding ASTM and CLSI standards. 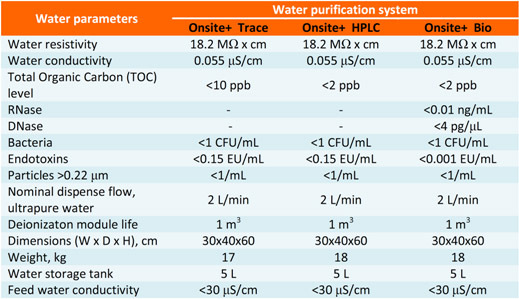 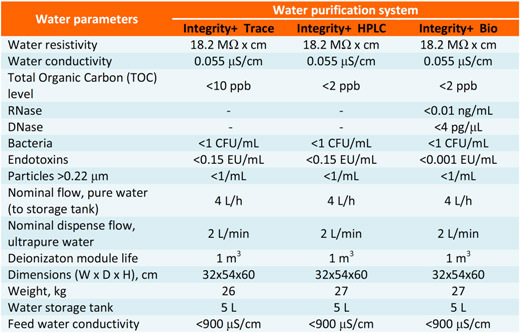 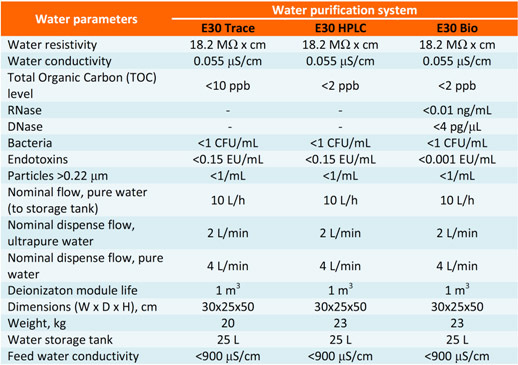 Adrona water purification systems provide ultrapure water for laboratory needs. 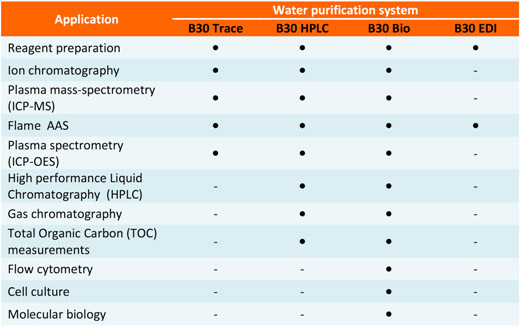 Quality of water meets requirements for Grade I water of ISO 3696 standard and corresponding ASTM and CLSI standards. 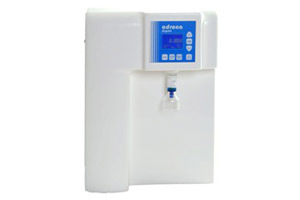 The Adrona Crystal E system is an economic model of a multi-purpose water purification system. 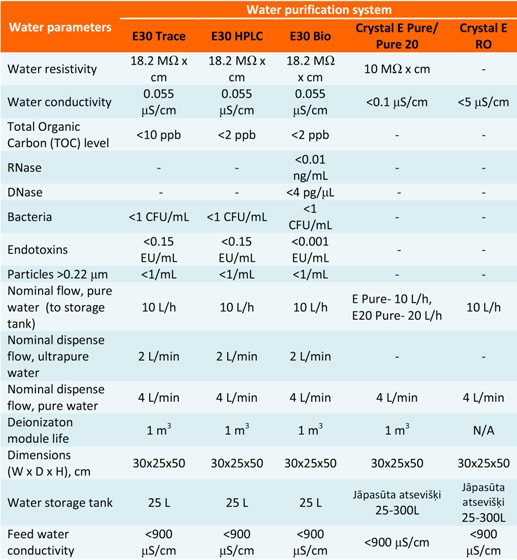 In spite of extremely affordable price, the Crystal E system is able to produce both Grade I and Grade II water. The system is based on reverse osmosis and ion exchange technologies optimized to best quality. 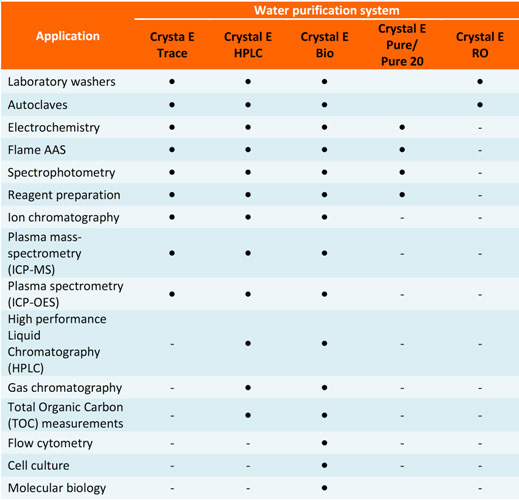 Crystal E has good price/performance ratio and very low operation costs. 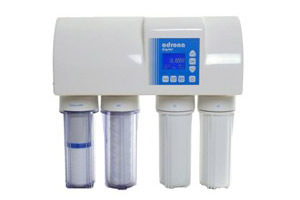 The Adrona Crystal 7 system is an economic model of a multi-purpose water purification system. 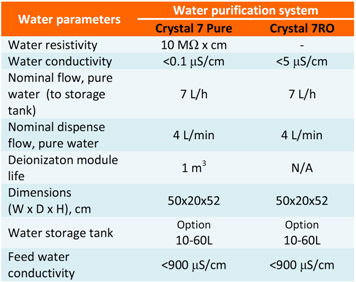 In spite of extremely affordable price, the Crystal 7 system is able to produce both Grade I and Grade II water. 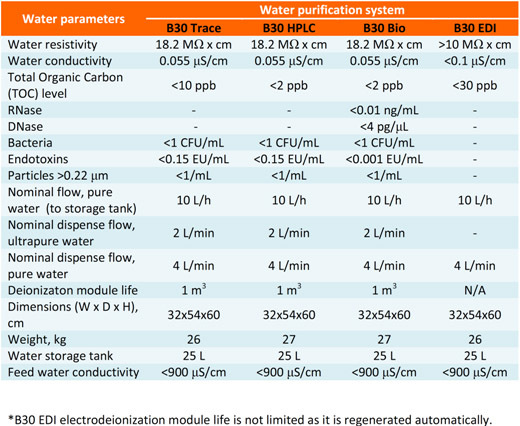 The system is based on reverse osmosis and ion exchange technologies optimized to best quality. 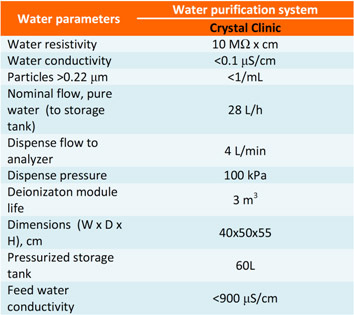 Crystal 7 has good price/performance ratio and very low operation costs. 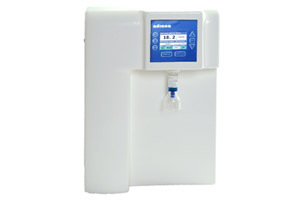 Sterifeed is a water purification system that is specially designed to produce feed water for autoclaves. 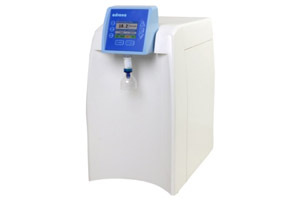 Use of Sterifeed reduces maintenance costs of autoclave and eliminates downtimes caused by inappropriate water supply.